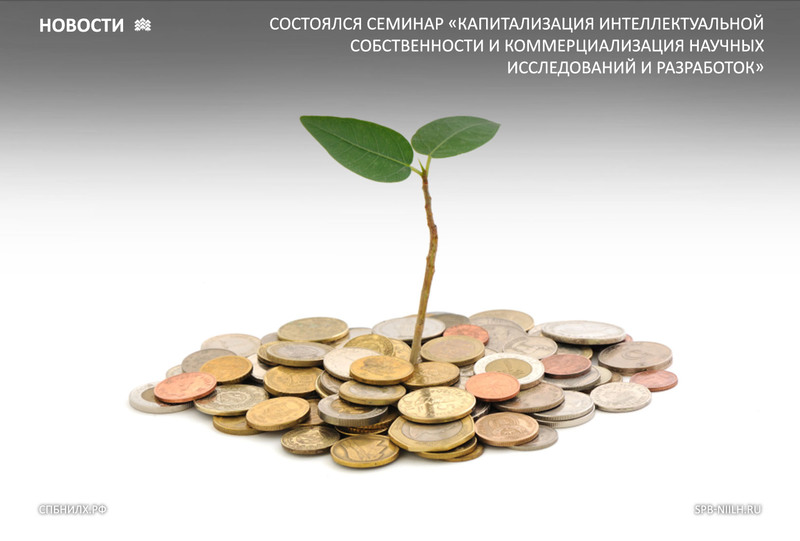 There was held a seminar "Capitalization of intellectual property and commercialization of scientific research and development"
Seminar "Capitalization of intellectual property and commercialization of scientific research and development" was held on October 10, 2017 on the site of the St. Petersburg State Marine Technical University. I.A. Vasilyev as a Director, O.I. Vasilyev — as Head of the Research Department of Economic Studies, T.S. Koroleva — as Scientific Secretary took part in the event in the name of the Federal State Institution "Saint-Petersburg Forestry Research Institute" ( SPbFRI). The seminar was attended by representatives of universities and scientific organizations within the St. Petersburg territory. Building an effective system for managing and protecting the results of intellectual activity in the university and in small innovative enterprise. Ensuring the transformation of scientific research results into technologies that bring profit to developers and the university. Ensuring the protection of self interests in creation of joint projects with commercial organizations. Methods of protecting the intellectual activity, functioning in Russia de facto. Testing the results of intellectual activity on the patentability and commercial attractiveness. Step-by-step algorithm for implementing the system of legal protection and management of intellectual property. Transformation of the results of research and development work into an intangible asset. Taxation of intangible assets. Innovative tax benefits and preferences. Typical mistakes and recommendations for registration of intangible assets. Changes in the legislation on accounting and taxation of intangible assets since January 1, 2018. The seminar was held by Ildar Shaikhutdinov — an expert in the field of intellectual property, member of the public council of Rospatent, a member of the General Council of Business Russia, head of the Intellectual Property Center of the State University of Management, and the Director General of the Institute for Institute of Financial Business Development (IFBD).